That we do custom ornaments? 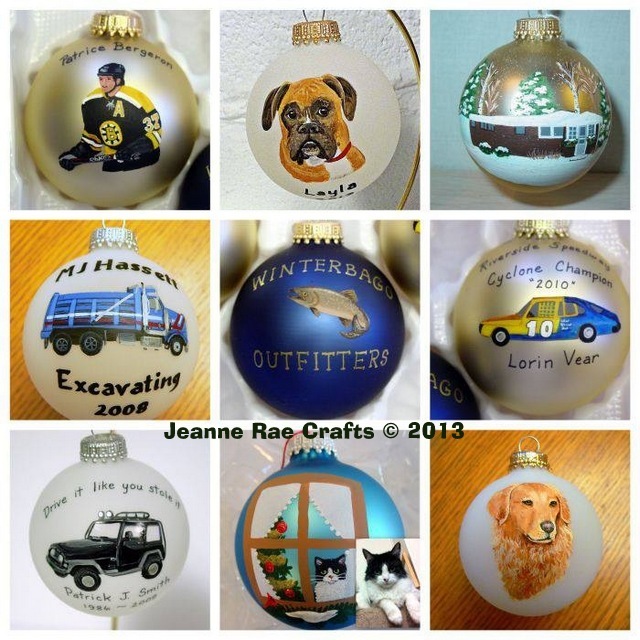 Here are but a few examples of the hand painted custom ornaments that we’ve done. Do you have a special pet, event, vehicle or whatever (I’ve even done a yurt!) that you’d like to commemorate as an ornament? First browse our ornament selection HERE. You’ll find a Custom Design order form HERE. Just call or email, address on either of the above websites.